JayKay Janitorial & Cleaning Services LLC offers janitorial services for businesses located throughout the area. We offer flexible cleaning plans, tailored to the needs of your business. Our professional janitors have been cleaning businesses since 2008. Choose daily/nightly, weekly, or monthly cleaning. We also offer one-time service before and after special events. Call (216) 505-1610 today for your free janitorial service estimate. For janitorial service you can count on, call the professional cleaners at JayKay Janitorial & Cleaning Services LLC: (216) 505-1610. Tell us what you need and how often you need it. We'll do the rest. Every business or commercial workspace has common areas, like: hallways, lobbies or foyers, entrances, restrooms, meeting rooms, cafeterias, and break rooms. High traffic areas and common areas get dirty fast and are more likely to be germ infested. JayKay Janitorial & Cleaning Services LLC provides the cleaning expertise to get these areas looking their best every business day. More importantly, our effective cleaning products and techniques ensure that germs are eliminated and that all surfaces are thoroughly sanitized. At JayKay Janitorial & Cleaning Services LLC, our cleaning philosophy is that a clean and properly sanitized environment is a healthier environment for your employees, customers, guests, and vendors. We have more than 11 years experience, providing reliable janitorial services for commercial customers. 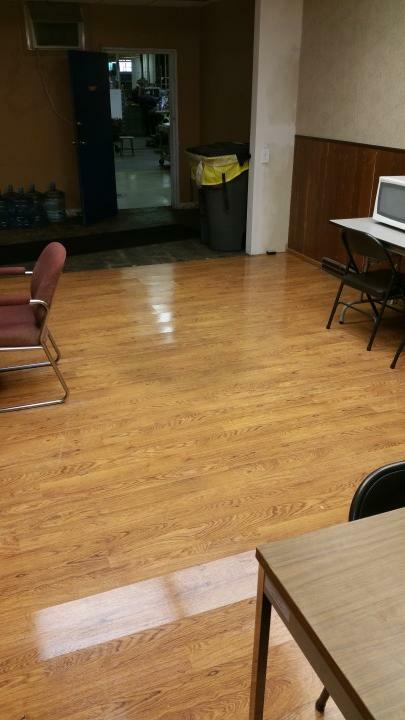 Call (216) 505-1610 to find out how we can make your workplace look its best every business day.